Mark Pendergrast has 1 media appearance. Mark Pendergrast discusses Uncommon Grounds: The History of Coffee and How It Transformed Our World. Tall Tales is excited to announce an author event with Mark Pendergrast, who will be speaking and signing books on Friday, July 26 at 7 pm. of the Epidemic Intelligence Service. Mark is a native of Atlanta. Mark Pendergrast discusses Inside the Outbreaks: : The Elite Medical Detectives of the Epidemic Intelligence Service. Mark Pendergrast reads from Inside the Outbreaks: The Elite Medical Detectives of the Epidemic Intelligence Service. Mark Pendergrast discusses Inside the Outbreaks: The Elite Medical Detectives of the Epidemic. 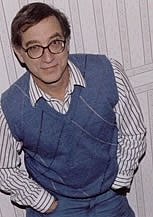 Mark Pendergrast is currently considered a "single author." If one or more works are by a distinct, homonymous authors, go ahead and split the author. Mark Pendergrast is composed of 3 names. You can examine and separate out names.